Few people in Hollywood are on such a hot streak like Taylor Sheridan is right now. His first feature film as a screenwriter 'Sicario' gathered a whole lot of praise and put Sheridan on the map. His follow up did even better as 'Hell or High Water' gained Sheridan an Academy Award nomination for Best Original Screenplay. Sheridan seems to have a knack for compelling, cop dramas and 'Wind River' rounds this unofficial trilogy off magnificently well. Cory Lambert (Jeremy Renner) is a wildlife officer who knows the Wind River Indian Reservation area better than anyone else. Lambert comes across the dead body of an 18-year-old woman out in the open snow under unusual circumstances. The autopsy reveals that the woman was raped before she died as FBI agent Jane Banner (Elizabeth Olsen) arrives to handle the case. With a lack of help from her superiors, Banner teams up with Lambert in order to find out what happened to the young woman and bring those guilty to justice. Sheridan has more than proved his quality in Hollywood by producing two of the best crime films in recent years. 'Wind River' provided the 47-year-old the opportunity to direct his second feature film but the first that he had also written the screenplay for. There's no denying that the screenplay yet again from Sheridan is incredibly strong as it provides great drama, emotion, and even humour perfectly yet again. He has a clear knack for creating a great dynamic using compelling and interesting characters. Sheridan is also an expert at making the setting of the film a character within itself. In 'Wind River', the harsh snowy conditions adds to the mystery of the film, bringing more tension and threats at every junction. The dialogue is yet again fantastic as there are many engaging, interesting and powerful conversations that really hit the films messages into you. Sheridan really doesn't miss anything out as he covers all bases you look for in character, story, and emotion proving yet again that he is one of the best writers working today. As a director, Sheridan isn't quite up to the same standard just yet. The two scripts Sheridan has previously written have then been directed by different directors - Sicario with Denis Villeneuve and Hell or High Water with David MacKenzie. It's clear to see that Sheridan has learned many things from working with these directors especially on how to handle tension. The standoff scene only confirms this as Sheridan produces the tensest moment of the year. However, as a director, Sheridan does seem to rush some moments where he could really let it linger on to create even more impactful moments. In saying this, it is a very solid mainstream debut as he does create a fairly well paced, shocking film that succeeds very well in the end. Jeremy Renner produces perhaps his best performance to date as Corey Lambert, a wildlife officer who takes care of the large snowy area. Renner's character is deeply troubled by his past and the murder mystery really hits him deep which gives him the motivation to find out the truth. Renner is quiet in his role but showcases the misery of his character as well as being well informed and wise. He is paired with Avengers co-star Elizabeth Olsen, an FBI agent located in Vegas who is simply thrown into the harsh conditions due to being the closest available agent. This creates a fish out of water dynamic for Olsen as she is completely unprepared and has very little support. Due to this, she requires the help of Lambert but it is her who is providing the support to Lambert instead. This gives each character clear motivations and reasons to slug it out in the wilderness in order to find out what has happened in this brutal circumstance. Gil Birmingham returns to work with Sheridan who provides a very solid performance which helps bring such a satisfying ending to the film. 'Wind River' is so impactful as it feels so incredibly real. The conditions have already been talked about and the cinematography really shows the grand scale of the location. The use of showing Renner constantly traveling via Snowmobile also adds that extra harshness of the wilderness and how this area is unlike many others in America where people are forced to live. The sound design plays a great role in conveying this feeling as you hear the elements which then makes you feel in that situation. There is a chilly feeling that comes with this film as the film capitalises on its setting and conditions for a much effect as possible. Details to the story such as the lack of help from the FBI without the autopsy defining the cause of death as murder add to this feeling especially due to where this film is set. The end of the film features statistics of how Native Americans have suffered from a lack of help as it really hits hard for the viewer. And this is also what the film is majorly about. It's not just a murder mystery film but a telling of events that still happen today. This is an area of America that really doesn't get much attention and those statistics only prove that. This makes the film not only a highly enjoyable and thrilling movie but a very important one as well. Sheridan's writing makes this film one of the years best and a great end to a loose trilogy of American frontier films. He continues to prove himself as a great talent and his skills will only improve the more work he does, whether that's directing and/or writing. 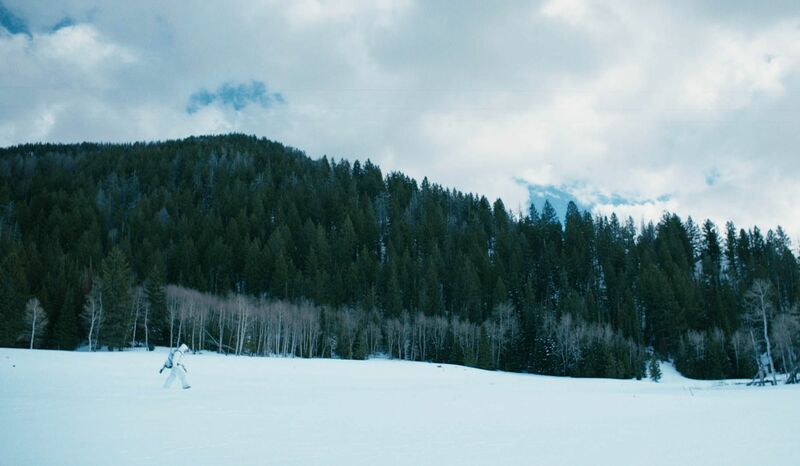 Packed with drama, tension, emotion, and one of the most satisfying endings of the year, 'Wind River' is one that you cannot miss. So have you seen 'Wind River'? If so, what did you think of the film? I hope that this review was useful for if you were planning on seeing the film or not which I recommend you do. Once again, thank you for taking the time to read my review, it is much appreciated!